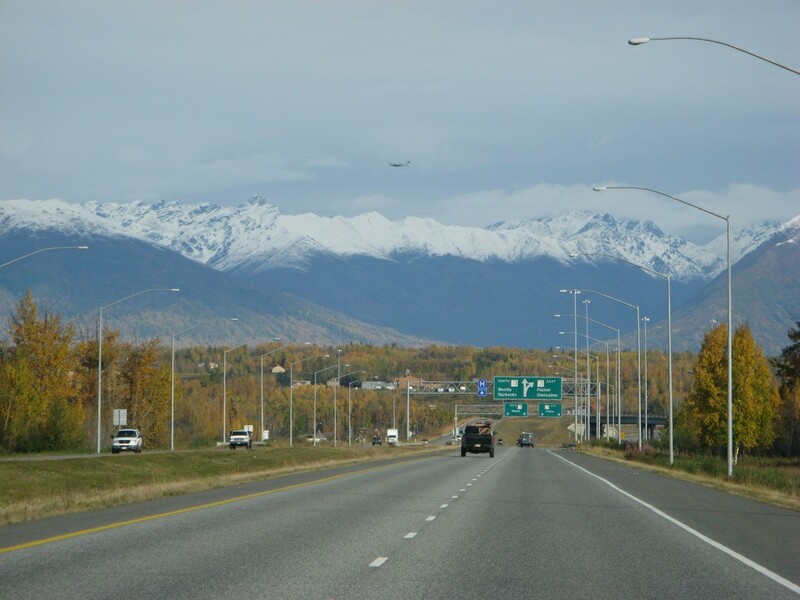 Alaska is so beautiful that even a simple car ride from Anchorage to Wasilla results in beautiful scenery that you won't find in most other places. 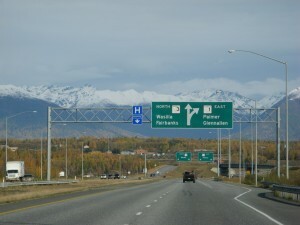 Here is a sequence of two pictures taken from inside my car as I approach Wasilla from the south. 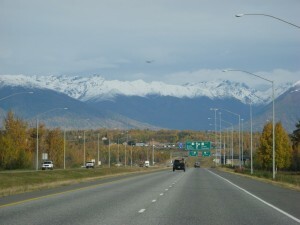 The first picture shows a mountain range towering over the road, with an airplane crossing the sky. 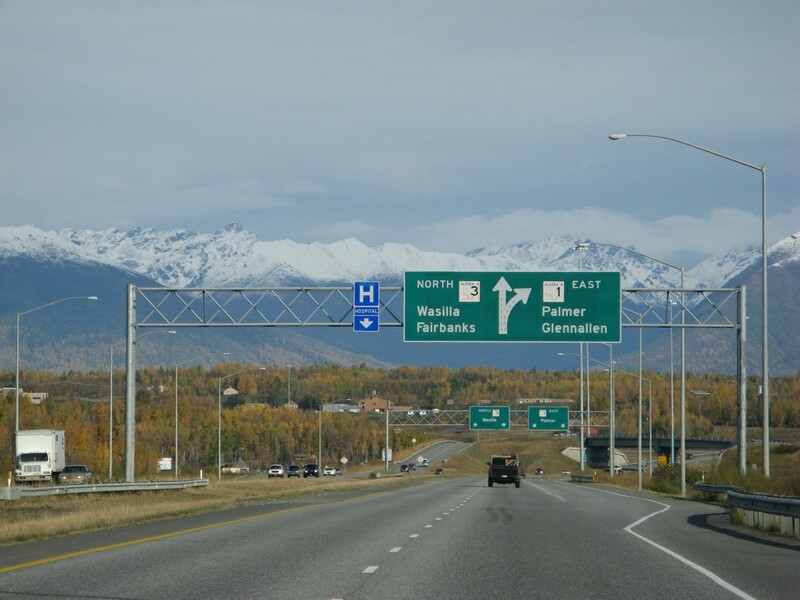 On today's drive I wasn't really going to Wasilla, I was going past Wasilla, farther north up to Talkeetna.